The University of California is a vast network of 18 separate institutions, each with its own communications team. So, to present a single, unified message through one website was just the sort of challenge we embrace. 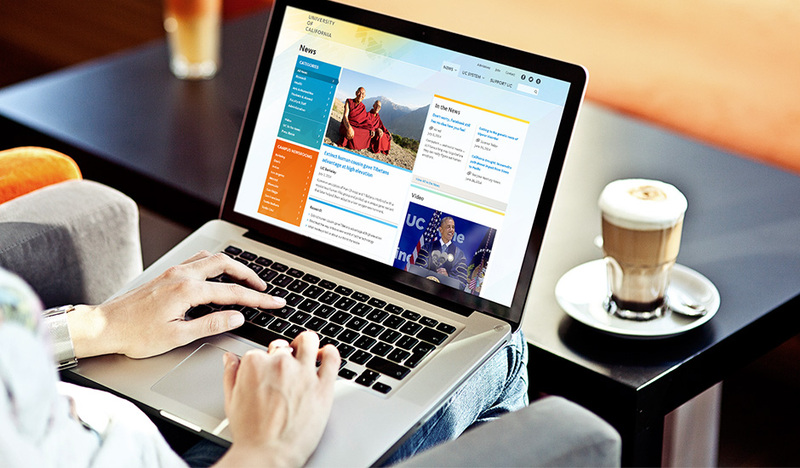 As the economic downturn threatened budgets, UC leaders realized pulling together all of the individual campus’s information would be impossible without an improved website. UC staff research showed few people were aware of the role the system plays on a national scale. 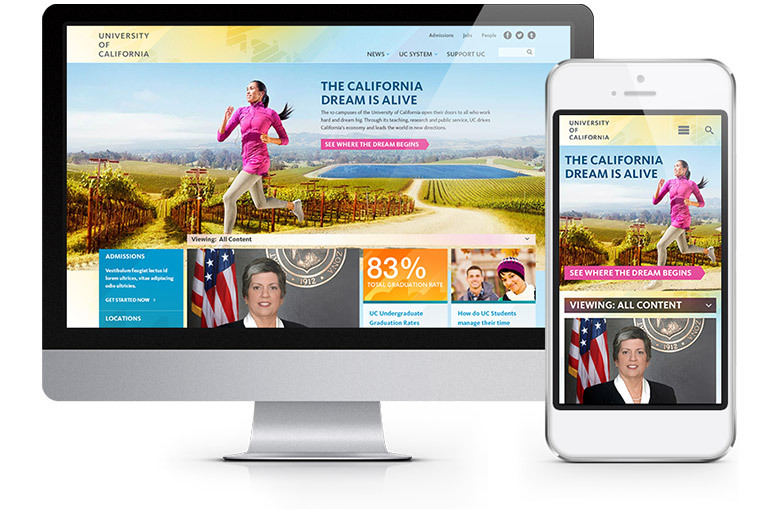 Noble’s goal was to transform UC’s new brand message into an engaging digital experience. With a new direction, the website highlights a wide range of UC related stories, statistics and research. 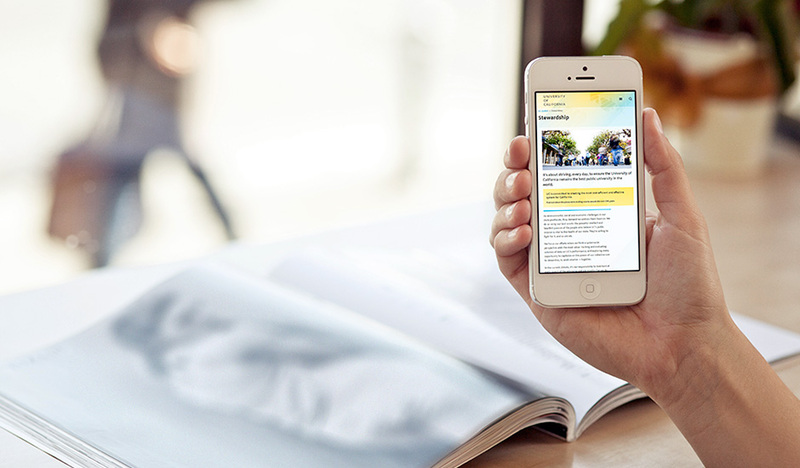 It serves as a comprehensive resource for prospective students, alumni and media outlets to keep updated on the reach, impact and expertise of the entire UC system. Noble’s design improves the user experience by visually conveying positive emotion and energy. Being device agnostic, the website displays beautifully across desktop, tablets and mobile devices giving visitors access to the university’s content, as well as the ability to apply for financial aid and share stories via social media. A rich information portal for projects impacting the university system and all campuses and facilities, the new site creates more opportunities for diverse audiences to engage with UC’s services and understand the value and impact of the world’s finest and most respected public university system. Within the first two weeks of launch, the UC website saw a 26 percent increase in page views and overall traffic jumped 8 percent, including a 15 percent increase in return visitors. Prior to the new site launch, UC’s home page received 98 percent of its page views. Now the home page averages 56 percent of its page views. 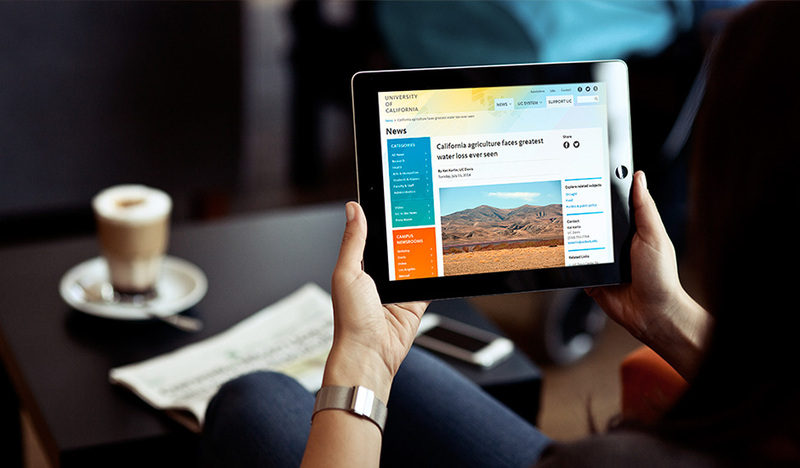 This means visitors are diving deeper into the site thanks to greater access to the university’s most valuable content within the news, UC system and support pages. The site also received a 12 percent increase in traffic from mobile devices and 9 percent from desktop, as well as a 7 percent decrease in bounce rate. These statistics highlight the improved user experience across devices and show a higher engagement rate.